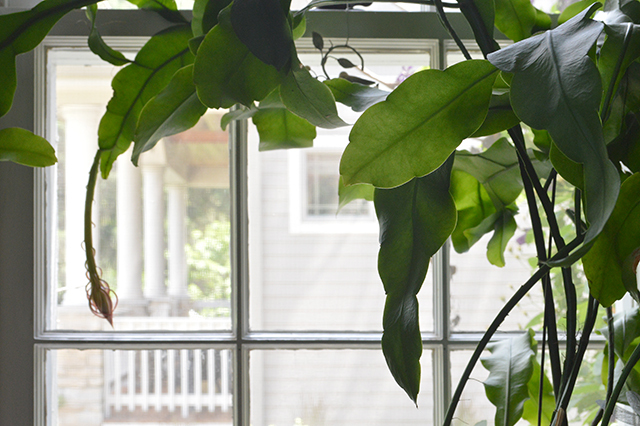 You may recognize this plant from a painting I did last winter. 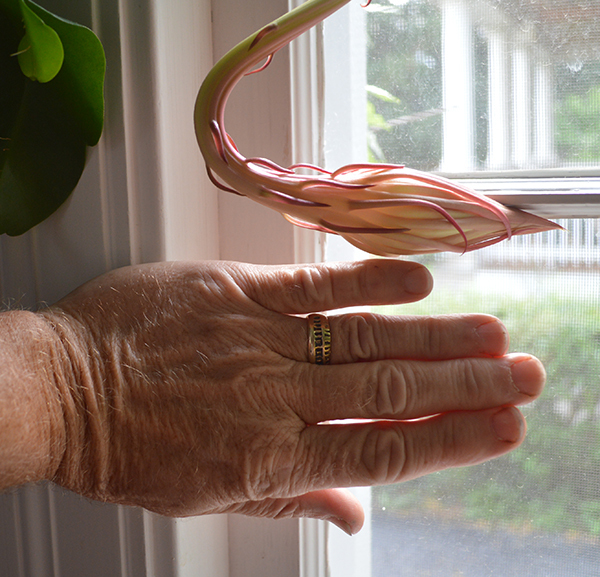 It is an epiphyllum, and it is one strange plant. New leaves grow out of the sides of older leaves, it sends runners that grow up four or five feet from the plant, and once a year, if you are lucky, it blooms a beautiful flower. It takes weeks for the flower bud to mature, and then the flower is open for only one day. In the fifteen plus years that we have had this plant it has blossomed twice. Today I noticed a new bud and plan on documenting its progress. Check in to see how things are going. 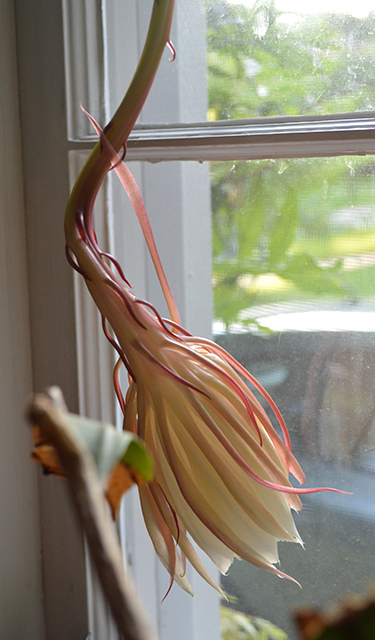 In the last four days the flower bud has tripled in length. If I remember correctly, it will grow another two to three inches in length before it blooms. I think we are approaching blossom day. The bud is looking more and more like something in an alien movie. I'm hoping that the flower opens when our grandkids are here over the July 4th weekend. The grandkids left yesterday so they will miss the blooming. I'm pretty sure that they don't share my enthusiasm about the event. 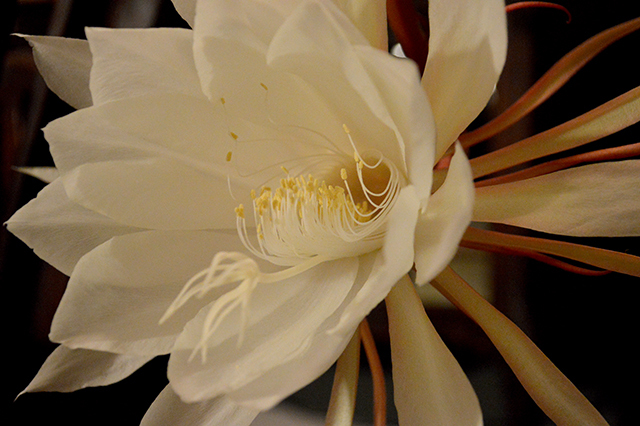 On my way to bed I made one last check of the epiphyllum. As you can see, the flower has opened. It is much larger than I remember previous blooms being. It also has an interesting fragrance that I had forgotten. The smell is not terrible but is far from delightful. As you can see, the flower was through blooming by this morning.